Hi there! I hope you’re having a good weekend 🙂 I have just popped in today with this card that I have made using a Hunkydory kit that I had in my stash. I can’t remember the name of this collection – I do try to keep collections together but all my Christmas ‘stuff’ has sort of merged together!!! This is going to be for my parents from my sister. 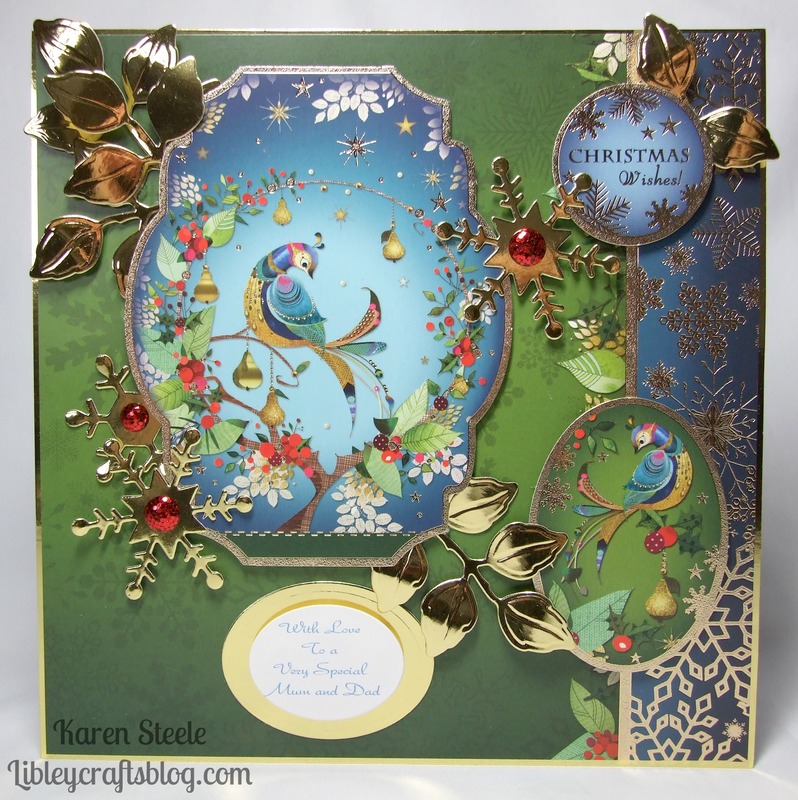 I also used Marianne Snowflake dies, Spellbinders Oval and foliage dies, and some glitter domed stickers from Papermania. Lovely partridge image! 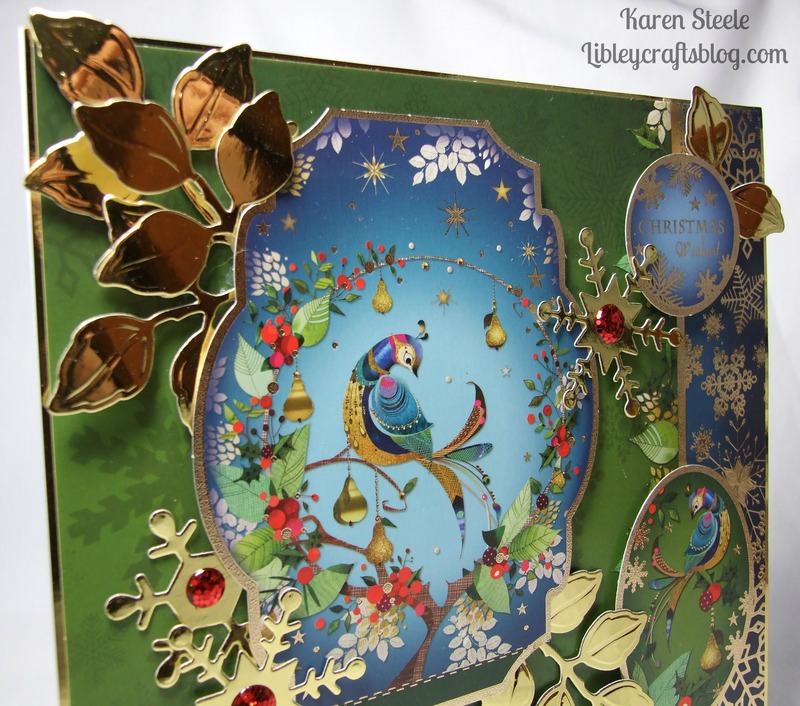 And, the gold leaves and snowflakes are perfect for your gorgeous card! Oh my word, this is so beautiful!!! I live the beautiful colors!!! Breathtaking!!! Oops!!! Love the colors. LOL! Darn phone! !